Picture books can be so enjoyable for kids when they are extended with book activities. Book activities can include crafts, snacks, and games that help the child more deeply comprehend the book. I often share book activities here at ready-set-read through my monthly Virtual Book Club for kids that I co-host with over 20 other bloggers. I was also excited to see so many bloggers link up their book activities to Mom's Library last week. This week I am featuring 6 of my favorite book activities from last week's Mom's Library. Are You My Mother? from Frogs and Snails and Puppy Dog Tails shared a cute bird craft to accompany the book. 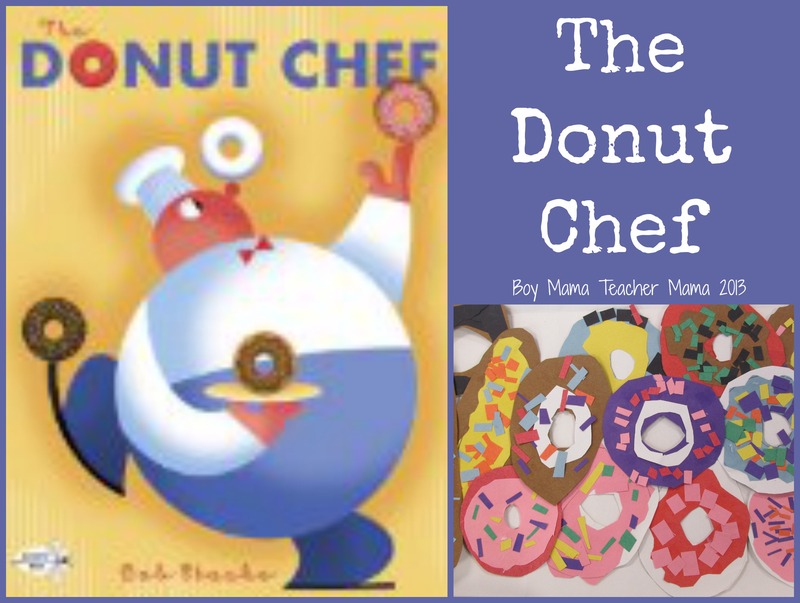 The Donut Chef from Boy Mama Teacher Mama shared writing and math activities for this book by author Bob Staake. The Very Hungry Caterpillar from Powerful Mothering. 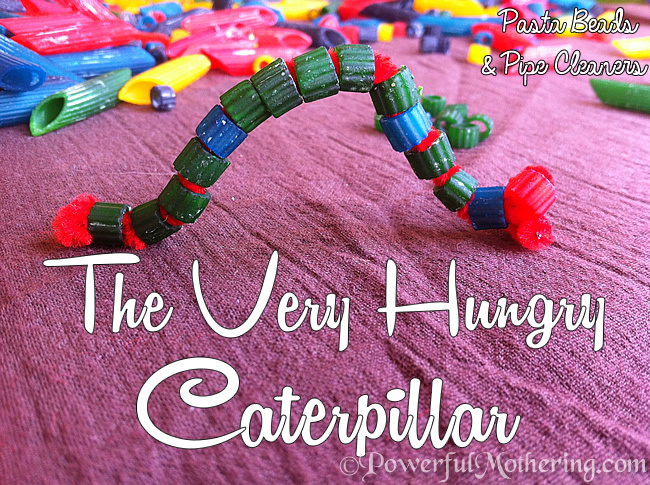 Colored beads, colored pasta, and pipe cleaners are used to create a caterpillar that can be used for story retelling. Miss Rumphius from School Time Snippets used this book in several school subjects, including social studies, language arts, math, art, and science. Sadako and the Thousand Paper Cranes from Stacking Books. A great review of a wonderful book. Extend the book by simply making paper cranes as you see in the pictures on the post. Virtual Flat Stanley/ Flat Sophia from Crafty Mom Share is a book activity you can participate in. Check out the post for more information. Virtual Book Club for Kids Leo Lionni from ready-set-read.com. Each month I participate in the Virtual Book Club for Kids. This month our featured author is Leo Lionni. You can participate too. Choose a book by Leo Lionni and read it to your class or children. Create a book activity to go with the book (craft, activity, cooking project, etc). Come back and link it up on May 20th. The Virtual Book Club for Kids linky will be open for 3 weeks. (Ps. Thanks to Enchanted Homeschooling Mom for sharing the graphic for this month's book club). Mom's library has gotten even better! Each week when you come to link up your posts or read great content from other bloggers, you can enter a giveaway at the same time! This is the first week of giveaways and there are TWENTY prizes! Today’s giveaway is a perfect Mother’s day gift. It is a computer program letting you quickly create photo collages. It is called CollageIt. It has different versions for PC and Mac. Don't forget, we have 20 copies to give away. To enter the giveaway, there is only one required action – visit the product review post and leave a comment there telling us which version you would like to have, PC or Mac. Once you leave a comment, you will unlock many more options for more entries. The more entries you have, the more chance to win. All entries entered before May 12 are eligible to win. The winners will be picked and announce on May 13 oniGameMom’s giveaway page. Good luck! If this is your first time linking up to Mom's library check out the Mom's library guidelines on True Aim Education. You can also grab the Mom's library button or an "I was featured" button on the guidelines page.